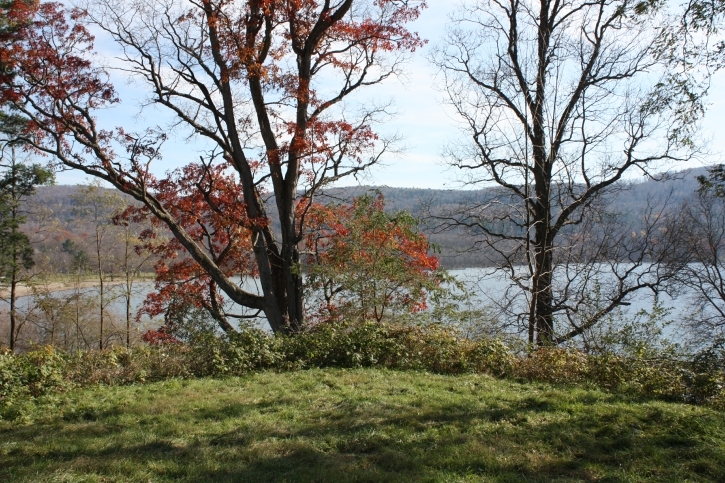 This is a view of Hyde Bay and Glimmerglass State Park from the terrace lawn of Hyde Hall. Much of the land surrounding the bay was acquired by George Clarke (1768-1835) to preserve the natural landscape from being developed, including “Shad Cam,” a point at the base of Mount Wellington, which was purchased by Clarke from the Cooper family in 1818. George Clarke Jr. (1822-1889), the son of the elder George Clarke, was also responsible for many land purchases in the vicinity of Hyde Bay.